Enfin, ça a l'air d'avoir fait un heureux et c'est bien là le principal pour un jouet ! 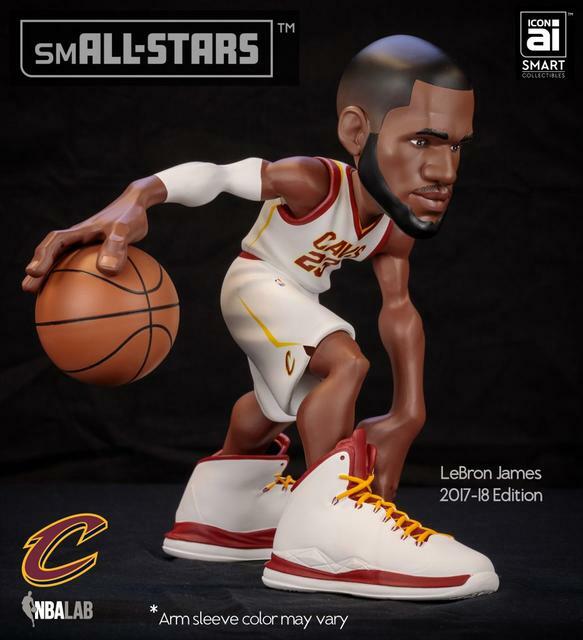 The 2017-18 IconAI Small-Stars Smart Figures line-up should be familiar. It replicates the previous year’s release. 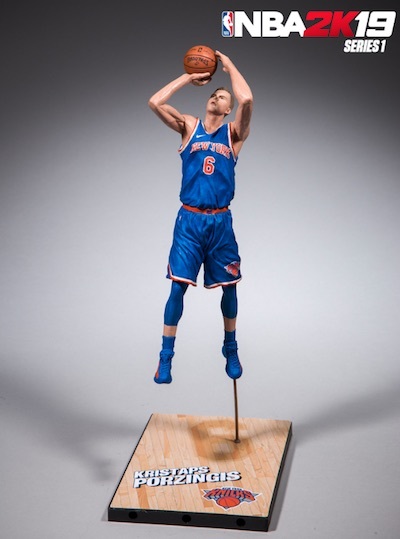 However, the figures are each detailed in all-new uniform colors. 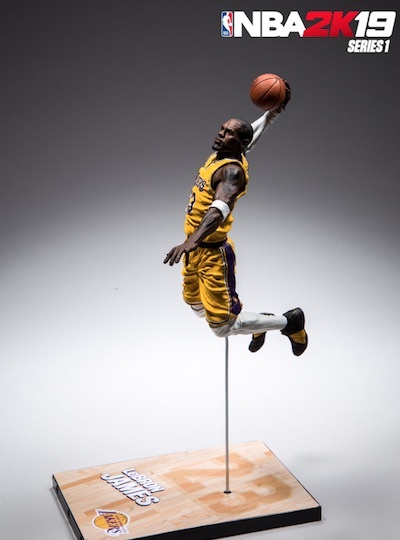 The figures depict NBA stars from around the league as stylized caricatures, delivering a fresh take in the figure market. The 2017-18 line-up includes the following players with their new uniform color in parenthesis. 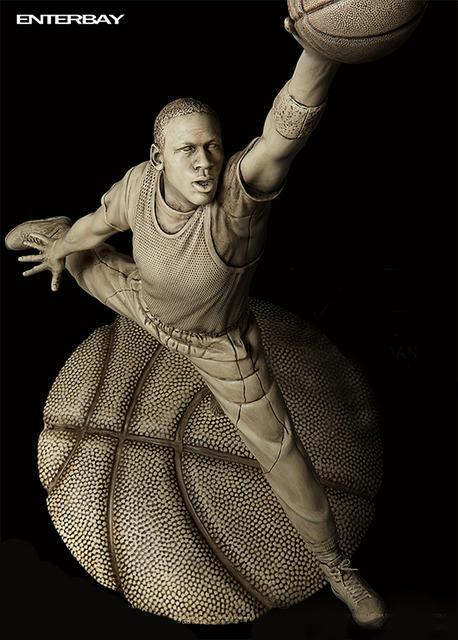 a NBA regulation basketball as pictured below. With regards to the newly updated mobile app, it received quite an upgrade beyond mere cosmetics. 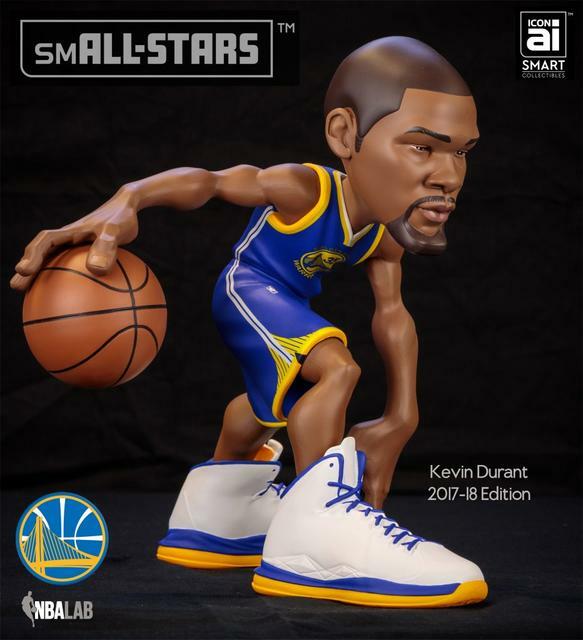 and an evergreen shelf-life for all future ICON AI smAll-Star releases. to the manufacturer’s responsible production numbers. No single figure was produced in a quantity greater than 290 total pieces. 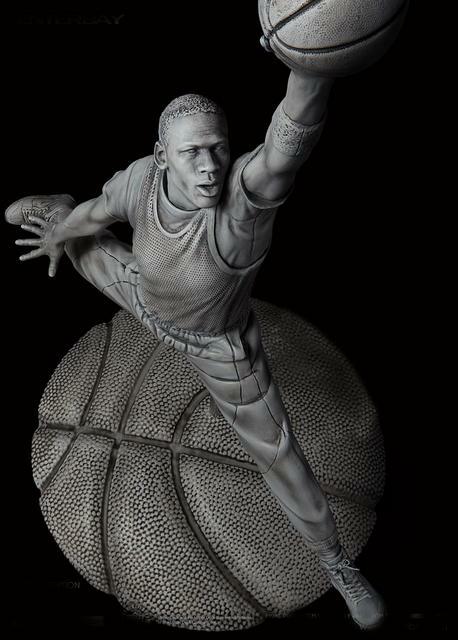 to deliver a truly, limited edition collectible figure that fans and collectors can be proud to own! The expected SRP for the figures is $160. 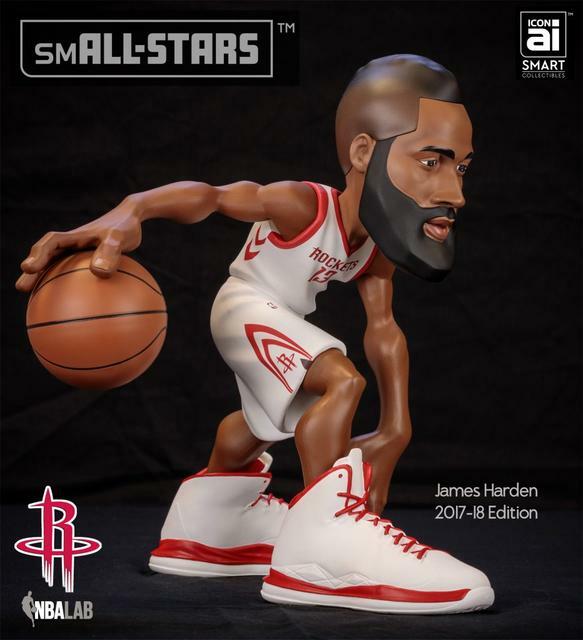 The anticipated release for the new 2017-18 IconAI Small-Stars Smart Figures is scheduled for early January. Dernière modification par Eyeshield21 le 08 juin 2018, 09:53, modifié 1 fois. 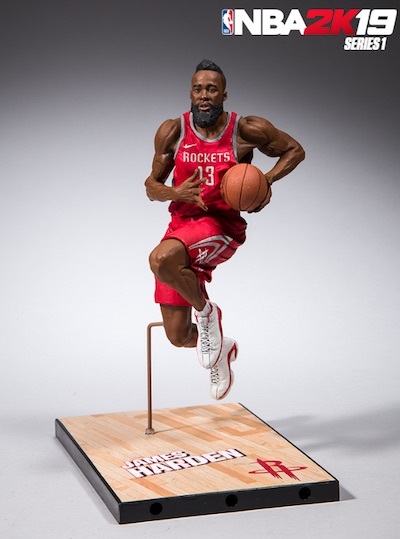 The 2018 McFarlane NBA 32 lineup features several notable debuts. are getting their first McFarlane figures. into their own over the past couple of seasons. 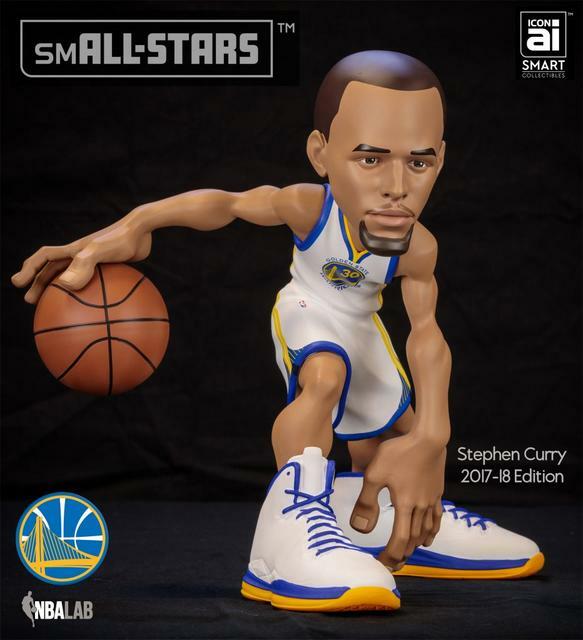 with a youth-heavy lineup and a new sculpt for Steph Curry. but don't worry as these won't rip. for young studs Devin Booker and Joel Embiid. we have Isaiah Thomas, in his new Cavs gear, and DeMar DeRozan. Stephen Curry is the exception. Curry also has two chase variants with low production. Isaiah Thomas and Lonzo Ball get limited-edition uniform changes, as well. to 100 figures or less. from the start of the season. 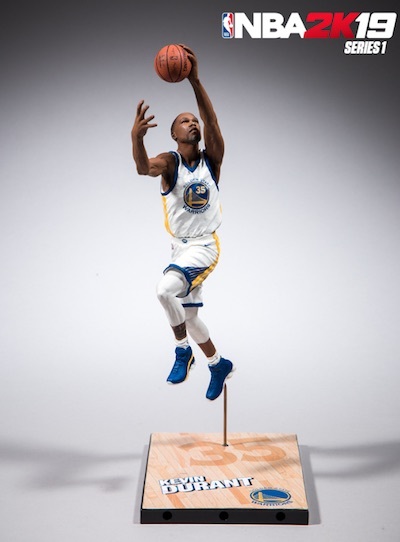 Of course, McFarlane NBA 32 also has a few chase variant figures as well. and DeMar DeRozan lead the way. There’s also Devin Booker of the Phoenix Suns. his off-season trade to the team. Thomas was part of the massive Cavs trade deadline overhaul and was sent to the Lakers. Thomas played just 15 games with Cleveland. This is his third figure in a main lineup not counting variants. His last appearance came in NBA 28 during the 2016-17 season. 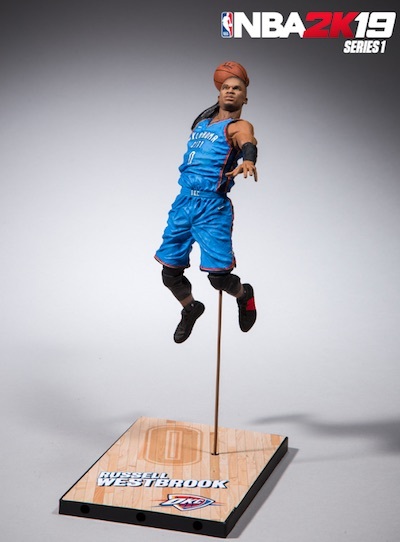 McFarlane NBA 32 has four variant chase figures. All have players in alternate uniforms. Two of these highlight Curry. This includes the rarest, a Yellow City Edition jersey piece with no more than 100 copies. Ball and Thomas also have variants. 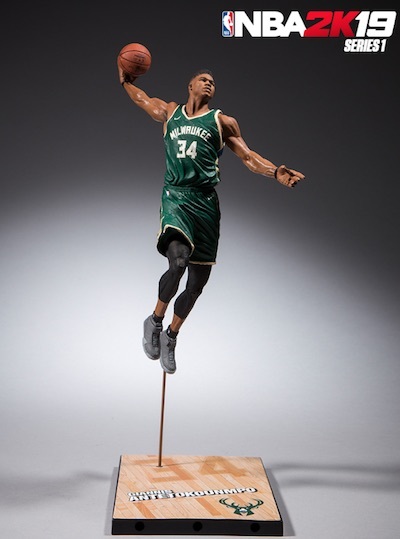 2018 McFarlane NBA 32 is scheduled to release in April. Collection : Kemp et Sonics. Et j'aurais besoin d'un conseil, est ce que vous les gardez dans la boite ou les ouvrez vous? J'ai vu sur un forum Américain que certains les laissent dans la boite d'origine, mais moi c'était pour décorer mon bureau? Puis aprés ca reste que Rashard Lewis (et payé 5$). Beaucoup les laissent en boite oui... perso neufs comme ça, je le laisse en boite oui. Sans la boite pour moi...avec un tout ptit peu de poussière sur le casque (Nfl). Merci de vos avis et expérience ! Au final, on revient un peu à ce que j'ai lu, certains ouvrent les boites et d'autres les laissent dedans. En tout cas MERCI de vos retours. and a shoe revolution that came afterward. 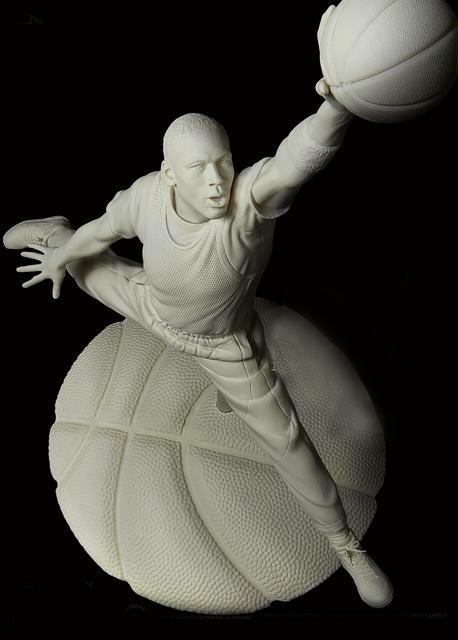 It's a sculpt of the iconic Jumpman pose of Michael Jordan. with an approximate price of $259.99. to identify their colors as the materials used were not noted. posable figures that you can see here. over on eBay as they are limited pieces. from the Madden version now common for the NFL figures. in 2018 via McFarlane NBA 32.
each box includes a Locker Code redeemable for an in-game MyTeam pack. for one of the players in the set. 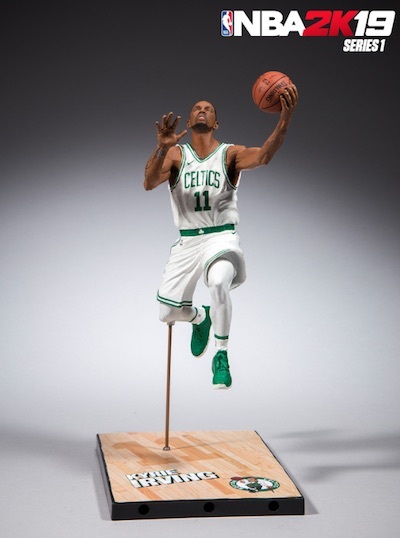 plus a Boston Celtics version for Kyrie Irving. 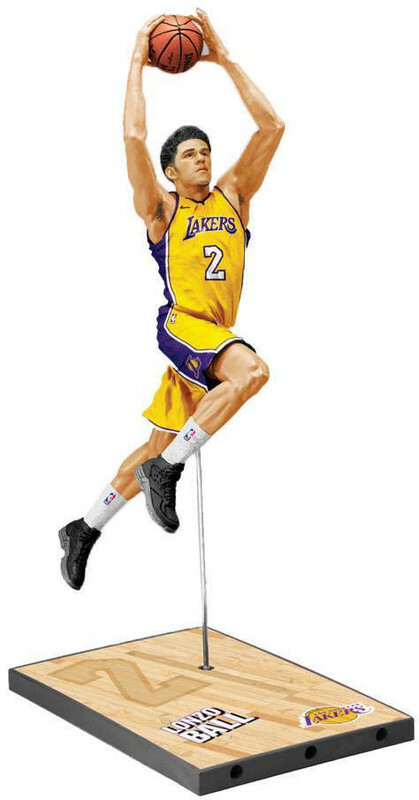 of the Los Angeles Lakers. This figure releases on Black Friday. All Series 1 figures are exclusive to Walmart and retail for $24.99.